Once again, summer’s arrival is upon us. The weather is warming up and the days are approaching their greatest length. People near and far are going to descend on our state’s beaches, mountains and forests; people are going to swim and hike and boat and generally experience the outdoors in a fashion that one can only achieve in Maine. But there are other summertime perks, too. For those who love live theater, there are loads of options. Companies near and far are bringing exciting work to stages all over the region; no matter where you might be, there’s a good chance that you’ve got some excellent theater happening nearby. Some of these companies are stalwarts of the scene, having been around for decades. Others are relative newcomers, bringing a new energy to the proceedings. 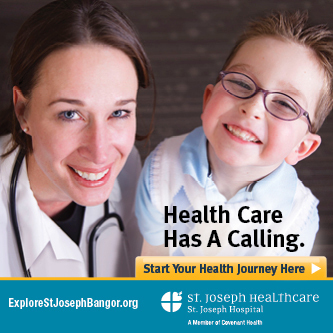 Bangor, Belfast, Bar Harbor – they’ve all got something for you; Orono and Ellsworth and Stonington too. It’s well worth your time to experience some of what our area’s summer stages have to offer. Here’s a look at just some of what’s to come. ELLSWORTH – Two nights of something a little different will be hitting the stage in Ellsworth this weekend. The Grand in Ellsworth is presenting an evening of short plays they’re calling “On the Fringe” on May 18 and 19. The bill features two plays – “House of Yes,” written by Wendy MacLeod and directed by Angela Bonacasa, and “Cold Summer,” written and directed by Georgia Williamina Zildjian; the show starts at 7 p.m. both nights. Tickets are $15 and available at the box office or via grandonline.org. ELLSWORTH Some talented folks in Ellsworth are putting on a show about putting on a show. ELLSWORTH The Grand continues its fine tradition of live community theater with its new production of an exciting play from Aaron Sorkin: 'The Farnsworth Invention.' The play runs for just one weekend, June 3rd through June 5, 2016. Tickets are on sale now at the box office, by phone, or online at grandonline.org. Ticket prices for reserved seating are $18 for adults, $15 for Grand members and $12 for students (15 and under). ELLSWORTH The Grand takes a look at the exciting sport of sled dog racing during its 'Experience the Iditarod' screening event on April 21th at 7 p.m. Ticket prices are $10 for adults, $9 for seniors, $8 for Grand members and $5 for youth (12 and under). The Grand Mouth Off Lip Sync Battle names the contestants! ELLSWORTH - The Grand, downtown Ellsworth's historic 1938 art deco theatre, announces the line-up of local contestants for the first ever 'Grand Mouth Off Lip Sync Battle 2016,' a fundraising event for The Grand on Saturday, April 9, 2016, at 7 p.m. Ticket prices for the Grand Mouth Off are $15 Adults/Seniors and $10 Youth (12 and under) for reserved seating. The event is sponsored by PCT Communications.